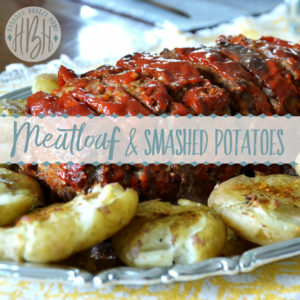 Meatloaf and Smashed Potatoes was a regular meal when I cooked for the camp. It seemed to a favorite with people of all ages. It’s really just a basic meatloaf recipe. I learned a few secrets when I cooked it for the masses, though. 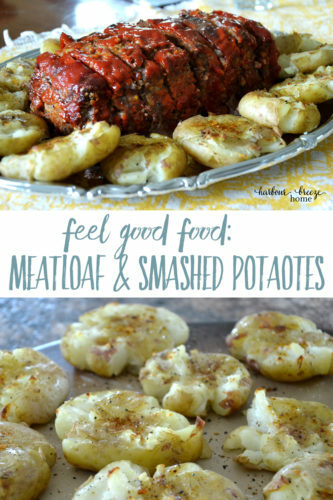 Tips for making meatloaf amazing! 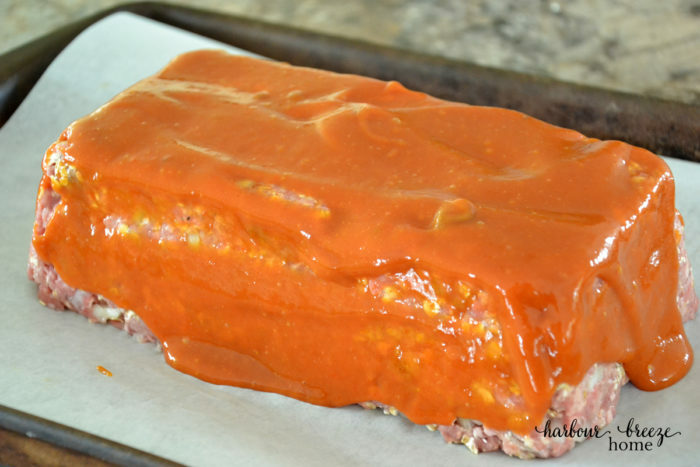 2.Rather than baking meatloaf in a loaf pan (where the grease sits in a pool on the top ~ Yuck! 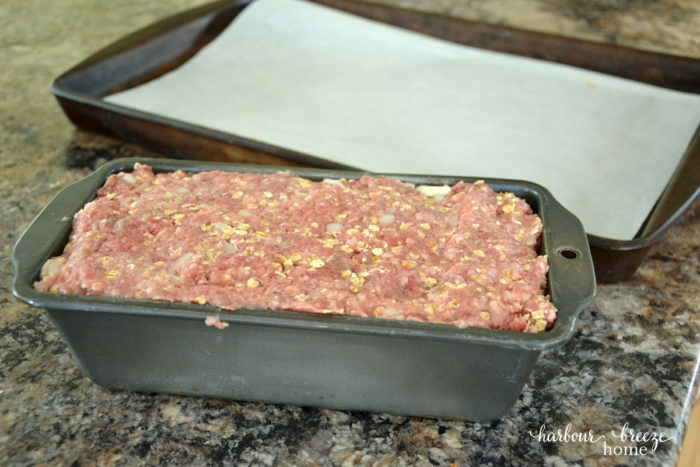 ), try this trick: Pat the meatloaf into a loaf pan so it’s packed solidly. Then flip it onto a large pan with sides which has been lined with parchment paper. The grease will then run out onto the pan as it bakes. It works like a charm! 3. The secret weapon of this meatloaf is the sauce you pour over the top. 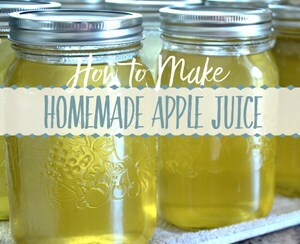 It makes the house smell delicious as it bakes and adds so much flavor! 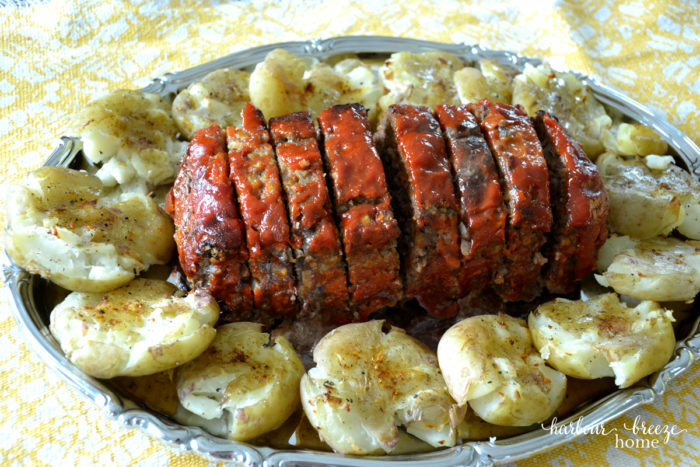 Meatloaf typically is served with some type of potato. Baked potatoes work great. 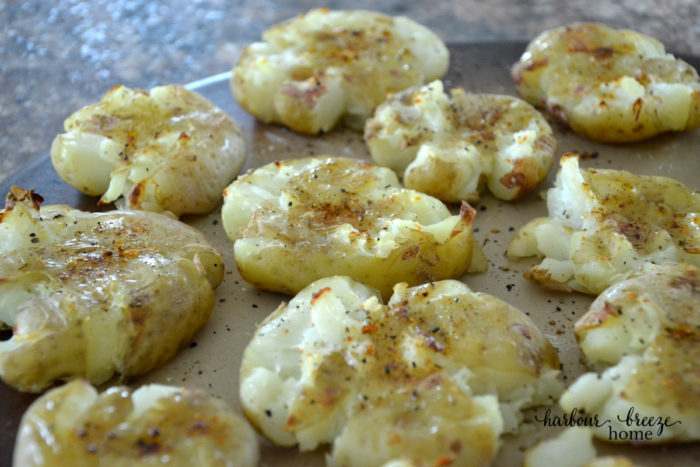 These smashed potatoes are a slight variation to classic baked. 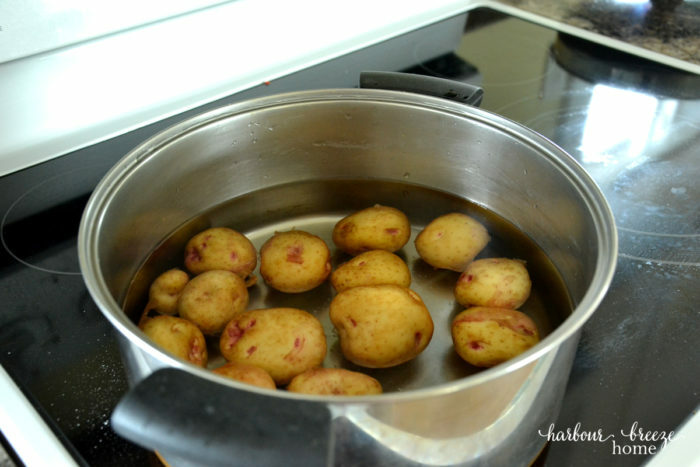 1.Wash baby potatoes and place in large saucepan covered with water. 2. Bring to a boil and cook until fork tender. Be careful that you don’t overcook them, though, or they will fall apart. 3. 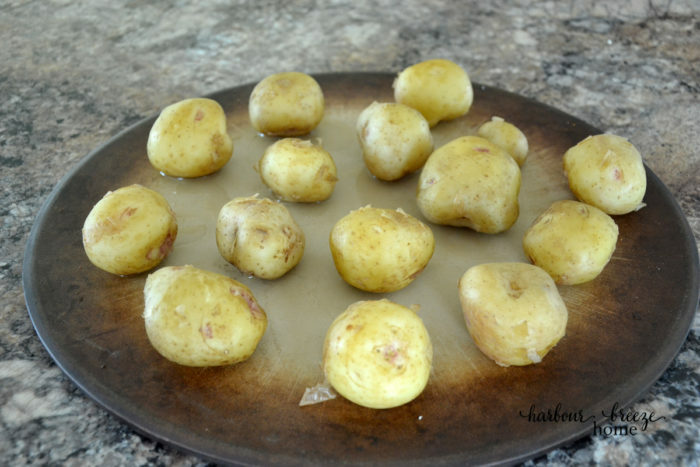 Drain cooked potatoes, and place on baking dish. 3. Smash each one with a potato masher. 4.Place in a 400 degree oven & bake until they are lightly browned and slightly crispy. (About 10 minutes). In a large bowl, combine beef, egg, onion, milk, oatmeal and seasonings. Place in a 5 x 9 inch loaf pan. Pat down lightly, then flip onto a large pan with sides that has been lined with parchment paper. In a separate bowl, mix sauce ingredients together well. Pour over meatloaf. Bake at 350 degrees for 1 - 1½ hours, or until completely cooked in the center. yum!!! 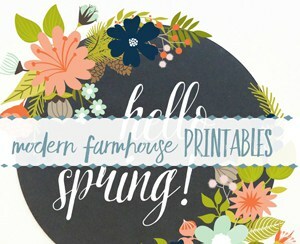 Totally making this! 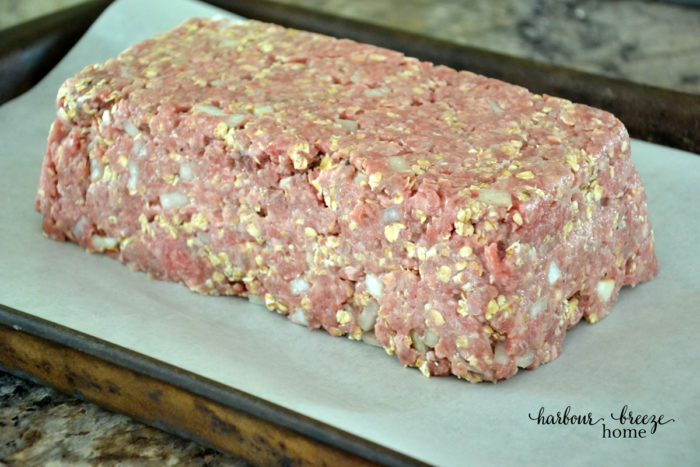 I have not tried oatmeal in meatloaf and sounds awesome! 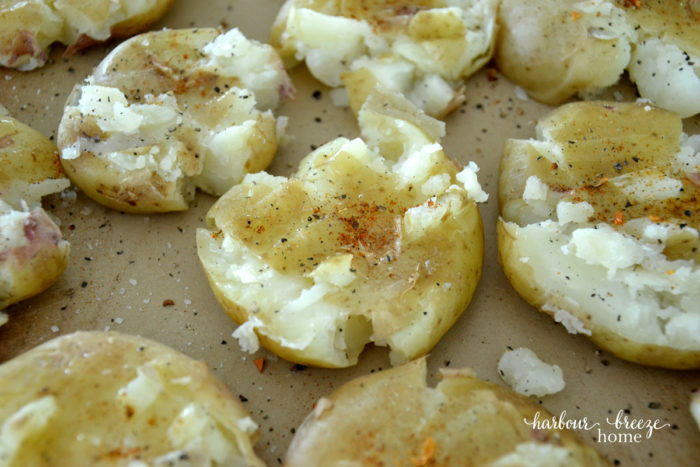 Also, I LOVE the smashed potatoes idea! 😀 Thanks!! !